The Bible was written on scrolls, papyri, and parchment and rendered in languages ancient or dead. For some religious people, it would seem an act of disrespect, if not sacrilege, to translate its stories and lessons into pictures. Yet down the centuries, countless believers have eagerly translated the Bible into art, sculpture, music, and architecture. To encounter the Bible in art is to encounter the reverence, the joy, and even the missionary zeal of the artist. In the most notable examples, we also feel the artist’s curiosity, the will to explore the unexplored dimensions of his or her skill. 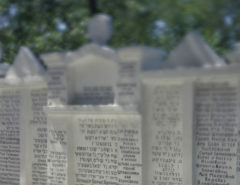 We see the artist discover fresh aspects of a craft, if not a theological meaning. The Bible in comic book form is a contemporary example of the artist’s translation of words into pictures. Some Bible comics are done in collaboration with other artists or with churches, while others are creations of a single artist following a personal vision. Whether Bible comics are created from a perspective of faith or not, they are works of exegesis. By translating words into pictures, their creators limit the possibilities of meaning, stripping away everything non-essential and leaving a focused and purposeful message. Crumb created a masterpiece. His interplay of words and pictures is expressive and beautiful. The Book of Genesis is Western civilization’s definitive meditation on the human condition, and Crumb’s work is intensely focused on that. The faces and feelings of the book’s subjects consume every panel, exploding out of the crowded and passionate pages and into the eyes and hearts of readers. Crumb writes that he does not believe the Bible is the word of God. He believes it is “the words of men.” And that belief resounds throughout his art, a message clear and true. It is hard to be literal about some passages, however; that is where the artist might rely on inspiration if no greater purpose is at hand. In his panel depicting Genesis 2:18, Crumb gives his male subject a look of sadness, though the text makes no mention of Adam’s emotional state. Crumb’s interpretation of man’s loneliness is touching because it speaks directly to the need we all have for companionship. But for all we know from the Biblical text, the man was feeling nothing at all, and God was not even in the garden when making the decision to create a helper for him. All of this was added by Crumb. Crumb’s illustration of Genesis 2:25 provides another good example of the interpretive aspect of any Biblical translation. The Bible tells us that Adam and his wife felt no shame; Crumb shows them frolicking! Interpretation in translation cannot be avoided, and there’s no good reason to try. No artist should shy away from inspiration. Crumb didn’t, and it’s his inspiration that makes his comic so special. 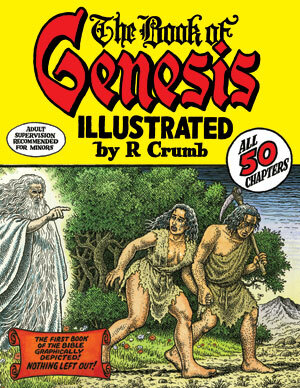 While Crumb’s purpose was faithfully agnostic, Bible comics are generally produced by believers and are aimed at exhorting or enlightening the reader. We find the stories of Genesis used as visual means to a theological end. 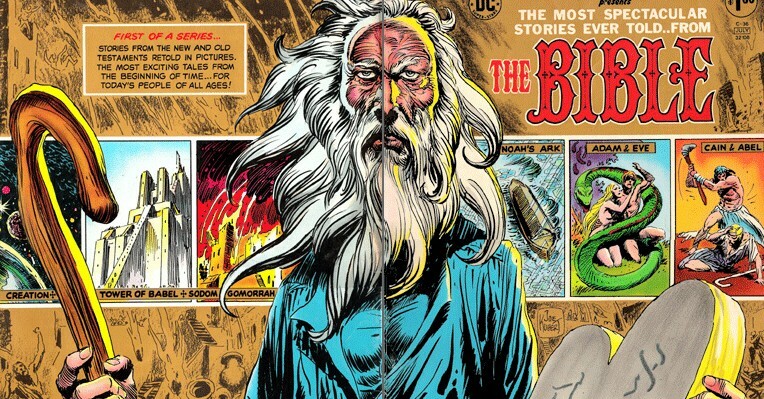 DC Comics’s The Bible (1975) written by Sheldon Mayer, edited by Joe Kubert, and illustrated by Nestor Redondo, tackles Genesis 1–19 in a larger-than-life way. With an audience of children in mind, these “most spectacular stories ever told” in “the most beautiful comic magazine ever produced” (according to DC promotional materials) were aimed at countering the influence of science on children’s religious education. Scientists would be the first to tell you that they don’t have all the answers… They’ll tell you that life probably began in the sea! But – if it did – how’d it get there?… And what controls the delicate balance of nature? The comic does not advance a creationist position, but it does argue for a theory of intelligent design. 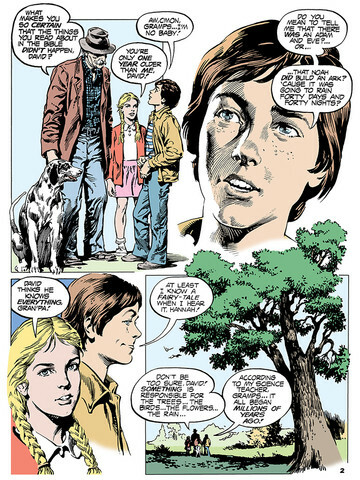 In one panel, Gramps and the children are all shown as tiny creatures obscured by a shadow cast by a giant tree that occupies two-thirds of the panel. The proportions imply that human life is too small and too ignorant, by divine standards, to fully grasp the origins of life and the workings of nature. We need the Word of God. It is within this context that the comic book tells the stories of Genesis 1–19. In these pages, we don’t see God. We can’t because the stories are told from God’s point of view. The art is striking for its power and intensity (editor Joe Kubert was legendary for his war comics). The story is striking for its large size and cosmic scale. We are often looking down on the action as if from on high, and just as often, people are depicted looking upward in order to speak to God. The message is clear: only God possesses the power and majesty to create life and keep nature within its delicate balance. Perhaps the most unusual and beautiful of all Bible comics was created between 1958 and 1972 by Basil Wolverton, a cartoonist well-known by secular fans for his comics in MAD and Plop!, among others. His Bible comics were commissioned by the Worldwide Church of God, of which Wolverton was a member, for its magazines The Plain Truth and Tomorrow’s World. The Worldwide Church of God was focused on end-time prophecy; Wolverton’s version of the Book of Revelation is possibly his finest achievement. The pages ooze violence, pain, death, and dread with alarming clarity . Like his Revelation, Wolverton’s Genesis is also exquisitely conceived. While other Bible comics translate sacred words into pictures, Basil Wolverton’s Bible comics supplant the words with pictures. Contrary to Crumb’s strictly faithful reproduction of every single word of scripture, Wolverton’s comics include captions that sweetly and simply summarize major plot points and themes. While it would be hard to fully understand the pictures without the captions, these captions are mainly small props to help things along. 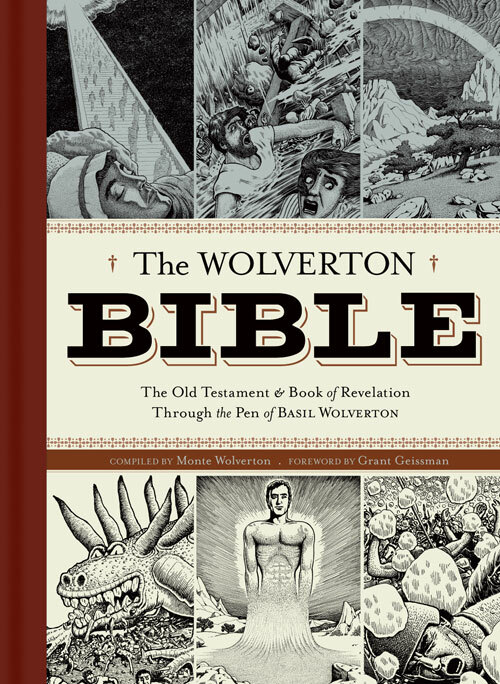 In Wolverton’s Bible, the pictures are the scripture. His account of the creation and fall serve as a wonderful example of this. The entire story is told in a sequence of only six pictures. The first shows the cosmos, an unformed Earth at its center. The second shows the Earth, moon, and sun, with the Milky Way and galaxies in the distance. 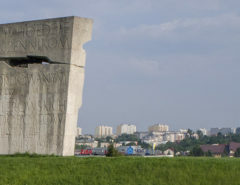 The third shows man emerging from the earth. The fourth shows the man and woman sitting together in a lush and populated garden. The fifth shows the woman sneaking up to a tree. The sixth shows a clothed man and woman fleeing into rocky terrain, a sword at their backs. A long time ago God had a wonderful plan to create human beings. But he had to provide a place for them to dwell. He made the stars and planets and placed them in motion and in order in the vast realm we call the universe, and among them, he created the earth. It is in the page depicting the creation of the man that Wolverton’s theological purpose merges most fully with his craft. We see man rising from the dust of the earth radiating light and energy, taking shape before our very eyes. This single moment of creation is the only reason for everything that came before. 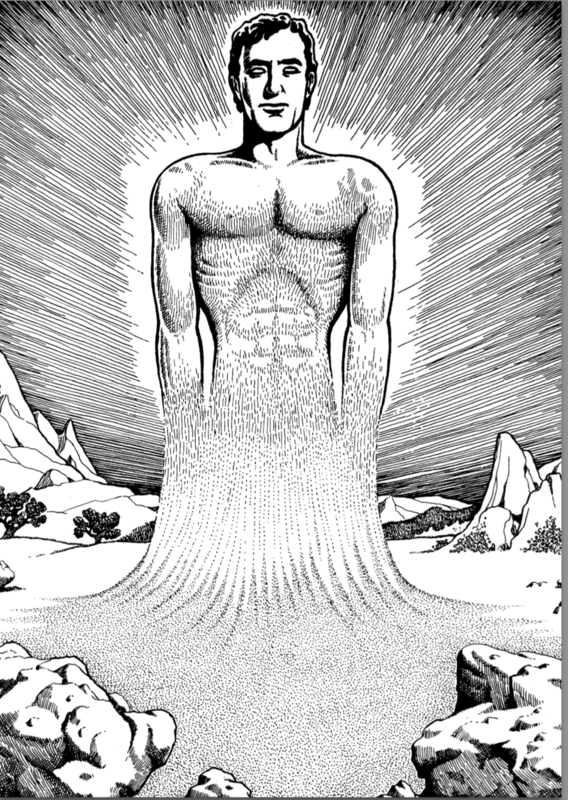 This man is God’s sole focus, God’s singular creation, God’s “wonderful plan.” In his introduction (2009), Wolverton’s son Monte notes that the original drawing contains well over 1,000 dots. We cannot mistake what we are seeing. Scripture is a unique kind of literature. It speaks directly to us. It is multivalent, its complexity sustained by the language in which is it expressed, its meaning shifting and morphing along with the vagaries of life and changing circumstance. 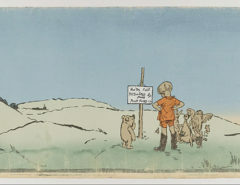 When translated into images, something of its complexity is lost, replaced by an encounter with an artist and a message. As seekers of truth, we might prefer the words of scripture and the open possibilities they present. But in the capable hands of a talented artist, a Bible comic may bring us closer to an equally compelling mystery. It may connect us to our humanity. Beth Davies-Stofka is chair of Literature and Journalism at Colorado Community Colleges Online, contributor to the International Team of Comics Historians blog and to Patheos.com, a staff writer for The Comic Book Bin, and a founding member of Sacred & Sequential, a consortium of religion scholars working with contemporary graphic art and narrative.